Anne Michaelson’s world turned upside down last fall when a handsome, blue-eyed and temporarily immortal Russian named Ethan informed her that she had a destiny to save the Grand Duchess Anastasia Romanov, held captive for decades by the witch Baba Yaga. But Anastasia had her own thoughts about destiny. And Anne and Ethan discovered that some things aren’t so easily undone. Now, six months later, the craziness in Anne’s world hasn’t gone away. Neither have her feelings for Ethan. Anne still has powers she doesn’t fully understand. She’s still dreaming about Baba Yaga’s forest. And she’s got a new boyfriend – very normal and very sweet lifeguard, Ben Logan. As for Ethan, well, he hasn’t quite gotten over the events of last fall, either. And he definitely hasn’t gotten over Anne. In short, everyone’s haunted by something – or someone. This book picks up where Dreaming Anastasia left off. 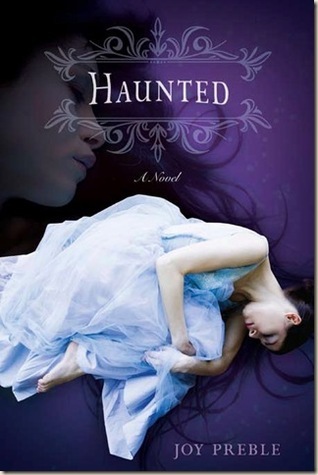 I didn't enjoy Dreaming Anastasia as much as I had expected, or wanted to, but I enjoyed Haunted more! I have to admit that I signed up for this ARC tour before reading the first book in the series. I was intrigued by the blurb, it sounded like my cup of tea. Apparently, Dreaming Anastasia was not, unfortunately. Although, I enjoyed being on my first ARC tour, and I appreciated the opportunity to read a book before it's release, I am sad to say I didn't enjoy the book as much as the tour process. I did enjoy it much more than the first book though! First of all, Dreaming Anastasia leaves you with a happy, albeit predictable ending, where the two main characters fall in love, but then, in Haunted, they aren't together! The main character, Anne, has a new boyfriend! I was very unhappy when I read that. The romance between Anne and Ethan was the best part about the book, it spurred on to read Haunted. It was disappointing, but it also meant the second book would also be predictable in the romance department. I knew the main characters would be fighting against their feelings throughout the book...lo and behold, they were. The plot of the book, other than the romance, also intrigued me. It was about a Russian mermaid who haunts Anne. I like mermaids a lot and I read mermaid books whenever I come across them. I have always liked the way mermaids were beautiful and usually sang. This mermaid, however, was nothing like that, and although I like the usual mermaids the most, I did appreciate the new take on the myth. 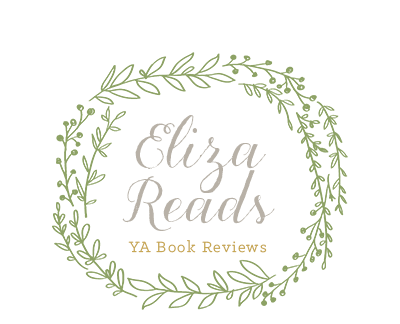 Overall, I was very happy with this book compared to Dreaming Anastasia! I gave this book a score of three masks. To find out more about Joy Preble and her books, visit her website HERE. Well, at least you liked this one more than Dreaming Anastasia. To be honest, I'm getting sick of predictable romances. I love it when books take unexpected turns. It really does and I love it! Jace <3!! I can't wait for CoFA! Come along May, I can't wait any longer.